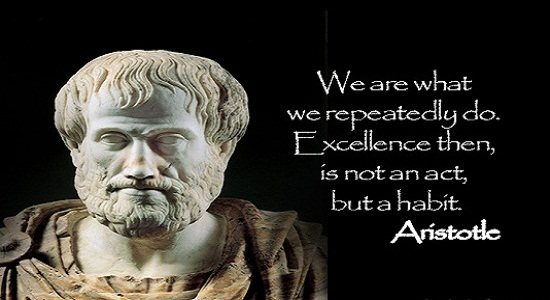 Aristotle taught us that, “You are what you repeatedly do. Excellence then, is not an act, but a habit.” His words aptly apply to fitness. What habit could you adopt that would keep you on track with your fitness goal? It shouldn’t be complicated. Maybe you will start putting your gym clothes out each night, maybe you will stock the kitchen with only whole and healthy foods, or maybe you will start removing sugar from your diet. Choose one simple fitness habit and add it to your daily routine. Think about it over the weekend and get started next week. I'd love to hear from you!